My sister picked up a charity shop bargain a couple of weeks ago, a very cheap copy of Nigella’s ‘Feast’. Unfortunately it was too heavy for her to take back on the train to Cornwall so it is temporarily residing next to my bed. I had a flick through the other night and came across the recipe for custard creams, in the Valentine’s Day section of the book. I thought this would be a good recipe for my daughter and I to try together, but she had other ideas and wandered off as soon as I got started. She was, however, quite happy to eat the finished goods. The custard flavour buttercream filling in these biscuits is essential as they are rather boring without it, but once filled they make for a tasty little treat with a cup of tea. 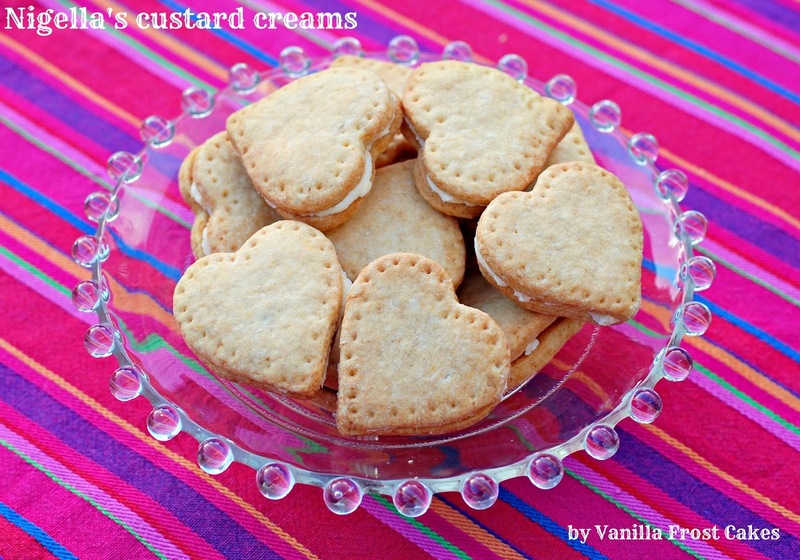 Much as you would expect from a custard cream really, but heart shaped and pretty for Valentine’s Day, as well as being extremely easy to make. They would take no time at all without the little dots around the edge, but they do finish them off very nicely. 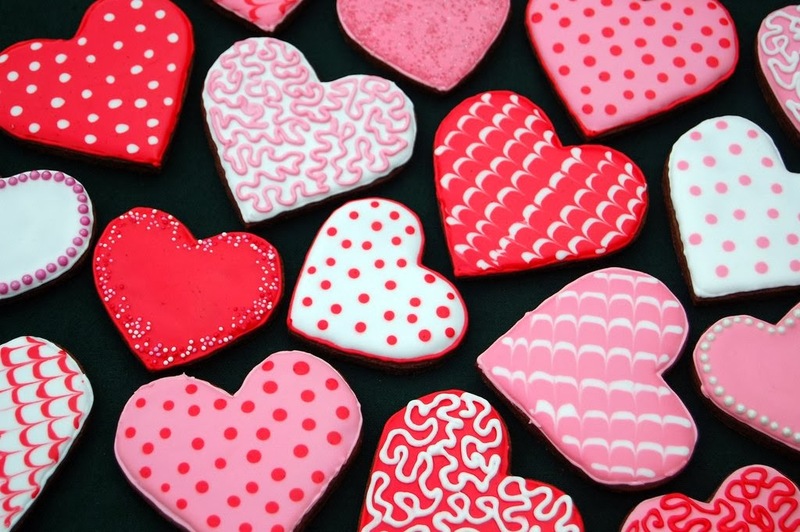 I haven’t made any decorated cookies for Valentine’s this year, but will take this opportunity to show you the ones I made two years ago. I used a recipe resembling the Biscuiteers’ chocolate biscuit one from their book, which is a great reference for tips on decorating with royal icing. I love custard creams and the hearts are so pretty.